Kids grow up so fast, so make this summer count. My childhood memories of my grandparents include fireflies, box turtles, a Harlem Globetrotters basketball event, catching flounder from Nag’s Head pier in North Carolina, and buying Estée Lauder “Youth Dew” perfumed bath oil at the counter of a fancy department store. My grandchildren will have lots of great winter ski lesson memories from Deer Valley Resort’s Reindeer Club and skiing with their grandfather. Summer vacation memories are just as special. 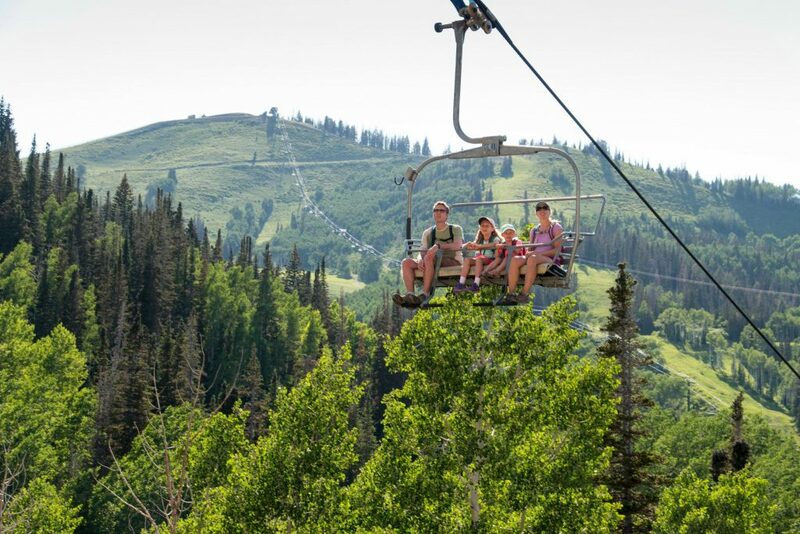 Here are six ways to enjoy summer with your grandchildren at Deer Valley Resort in Park City, Utah this summer. 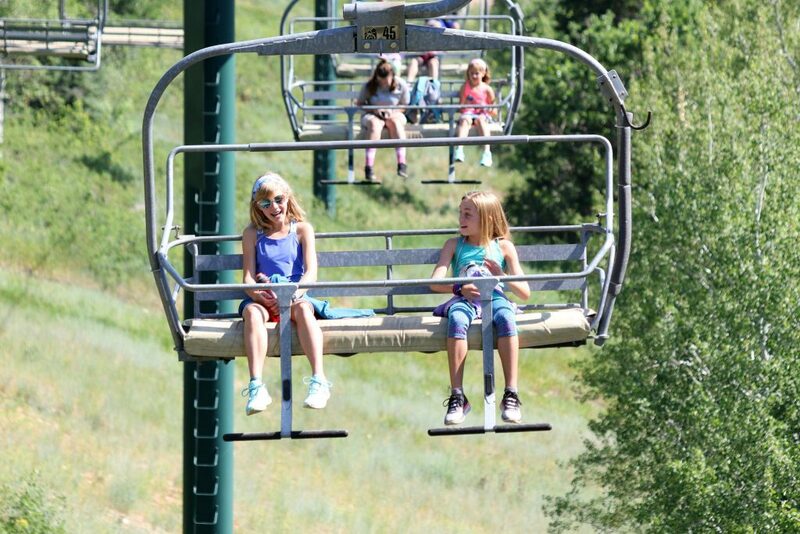 Kids love to ride the chairlift in the summer. Don’t we all? Here’s an idea for a great day with kids of any age. From Snow Park Lodge, take Silver Lake Express chairlift to Silver Lake Lodge, then take Sterling Express chairlift to the top of Bald Mountain, and then hike around the top for 360 degree views. 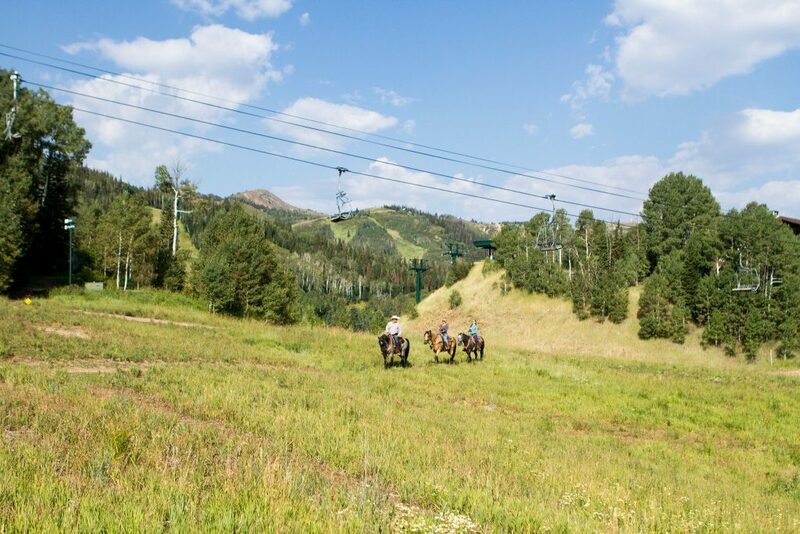 You can either hike down the mountain on a designated hiking trail (to get you closer to your 10,000 steps for the day) or for a more leisurely route, simply ride the chairlift back down. When back at mid-mountain Silver Lake Lodge, enjoy lunch at the Snack Shack or Royal Street Cafe. 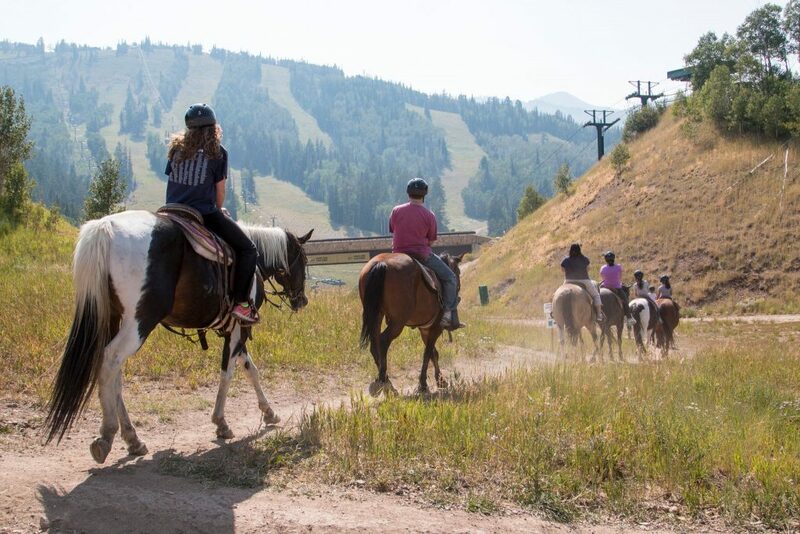 Experience Deer Valley Resort in a unique way: follow a seasoned guide on a surefooted and gentle trail horse. 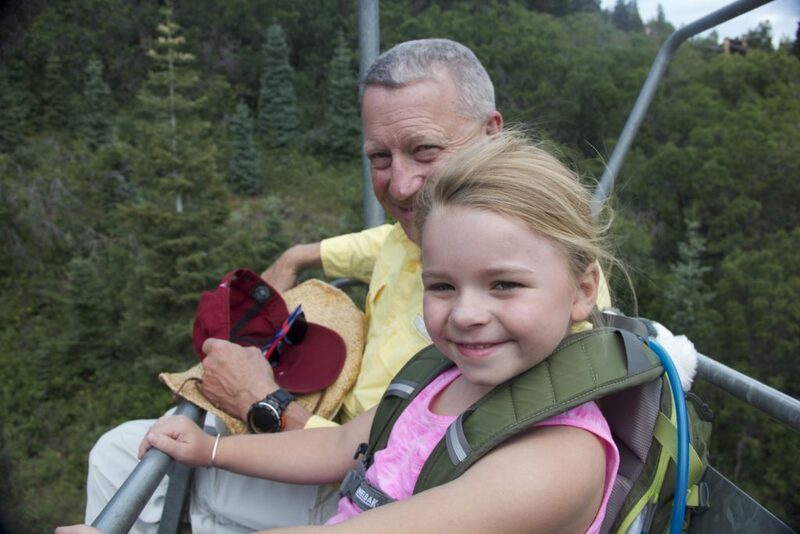 Take a trail ride at Deer Valley Resort with your grandchildren so they have a different viewpoint – a higher one. They’ll take trails they otherwise wouldn’t take and they’ll never forget the experience. If you have little ones who aren’t quite old enough to ride by themselves, there is still an option. You can book a horse drawn wagon instead! Standing up on a paddleboard is easy to learn and fun to do. On a beginner board, you can easily step up from your knees to standing. There is a very short learning curve so it’s great for both kids and adults. 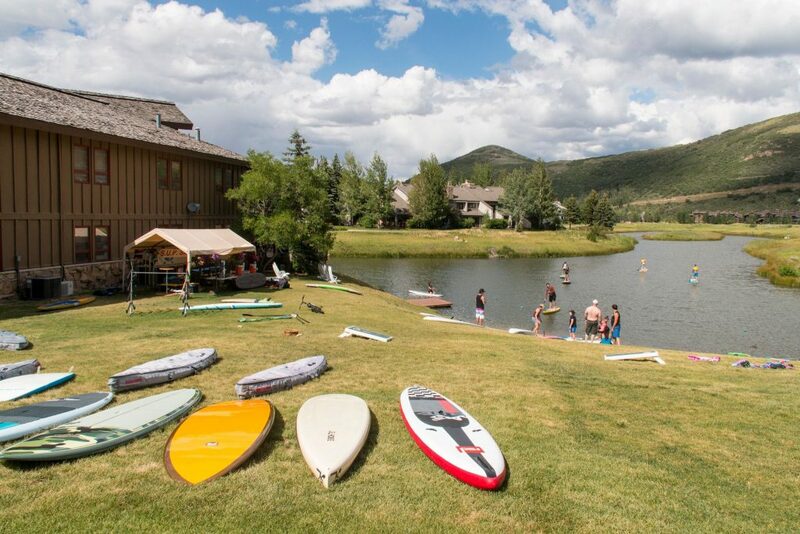 Kids love water so rent one for each of them and have some fun at Deer Valley’s Pebble Beach. Hop on a board so you can paddle beside them and make sure to have a friend take photos from the shore. The lake doesn’t allow motorized vehicles so the water stays smooth. It’s small enough to easily get out and back but large enough that it’s an adventure. 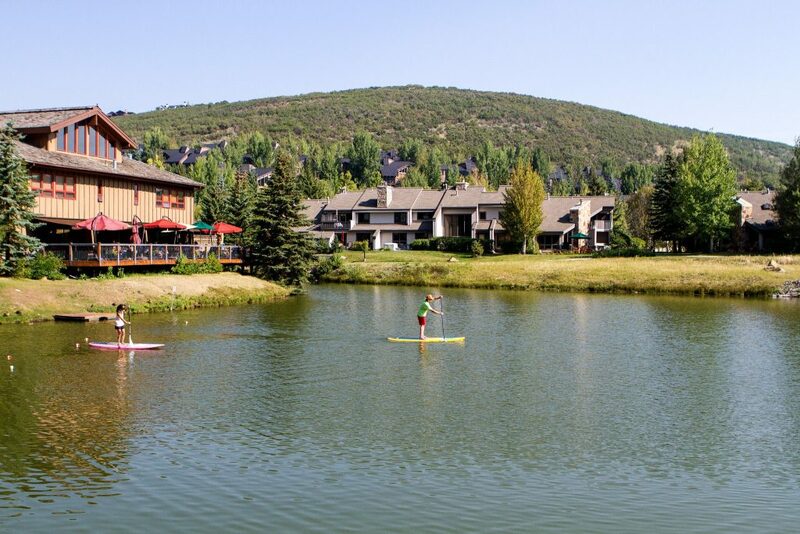 After your paddleboard experience, head to the deck of Deer Valley Grocery~Café for a snack or lunch. Kids love to get drenched in the summer so the combination of life jacket, raft and river is a winner for multi-generational fun. 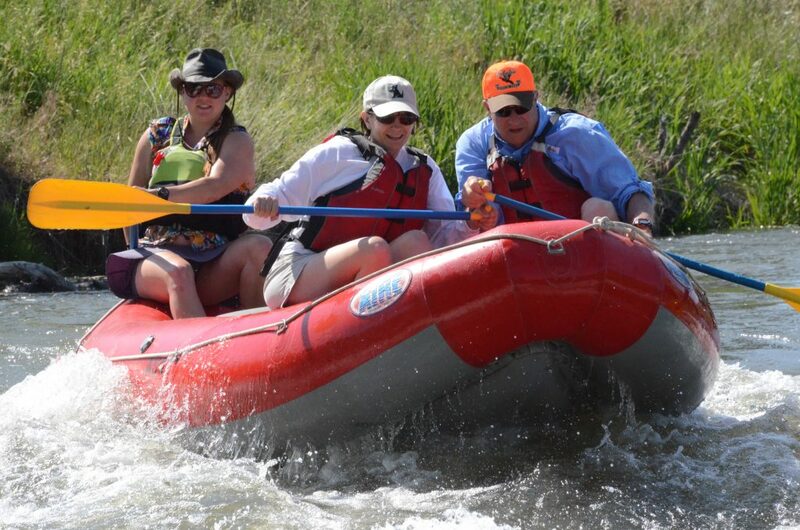 Since our granddaughter is coming out this summer, my husband and I tested out rafting with All Seasons Adventures. We weren’t disappointed. We found this Class 2 river had just enough gentle flow through a scenic valley, white caps here and there to make it exciting, bridges to duck under, and red rock cliffs to admire. The Weber River Tour is a good one for families. Just ask ahead about the ages for younger kids. 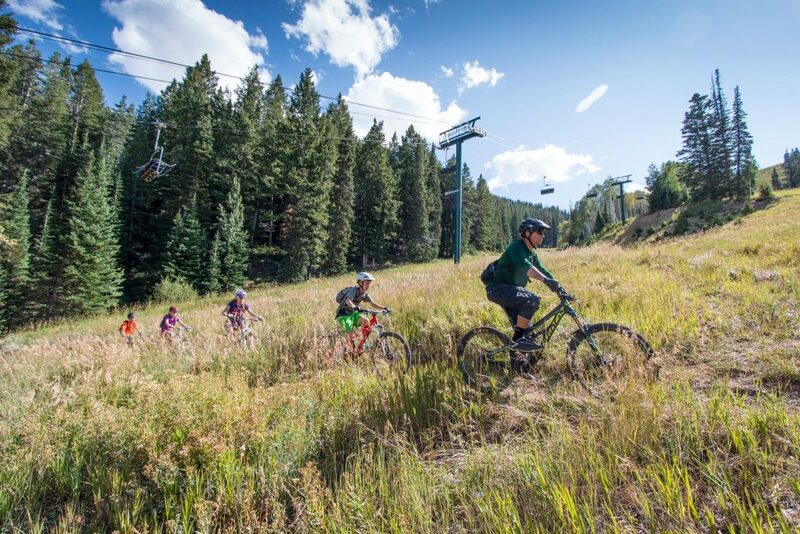 Put your grandchildren in mountain biking school this summer. They’ll love you for it (even more than they do already). If they are over the age of 9 and want to learn to mountain bike, they can learn some serious skills; stance, braking and cornering. 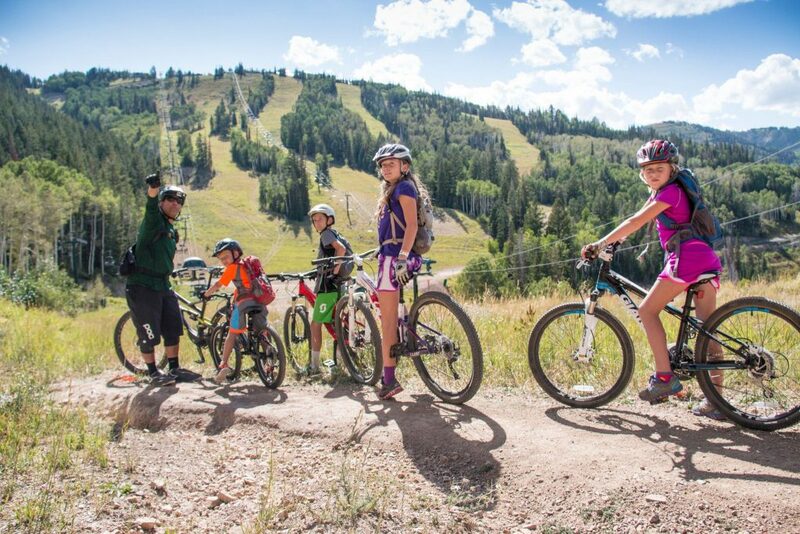 Deer Valley® offers a Summer Adventure Camp for kids ages 2 months to 12 years. This state- licensed center will provide jam-packed, fun-filled days for your grandchildren. From field trips to swimming pools, an aquarium, bowling and more, your camper will enjoy a well rounded summer of fun. Camp runs from 8 a.m. to 5:30 p.m., Monday through Friday, from June 12 to August 23. (excluding July 4 and 24).